In game mode, when controlling a vehicle, if you travel from one star to another linearly (without using HyperJump), once you reach the destination system, the engine seems to still use the starting system as "influence" for the gravity calculations. 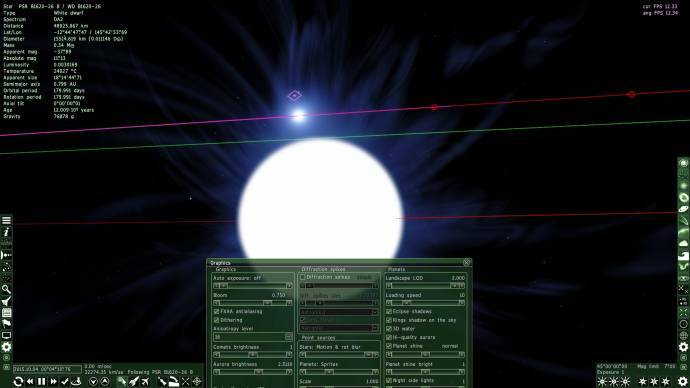 Quitting and reloading Space Engine fix the problem. There is another problem related to "exposure": When set to On, if you alter the time scale (<1 or >1) the exposure and/or apparent magnitude (not sure exactly which) is affected somehow. The more you deviate from 1, the more the auto-exposure factor changes. Turning auto-exposure off and changing time scale does not cause this problem. 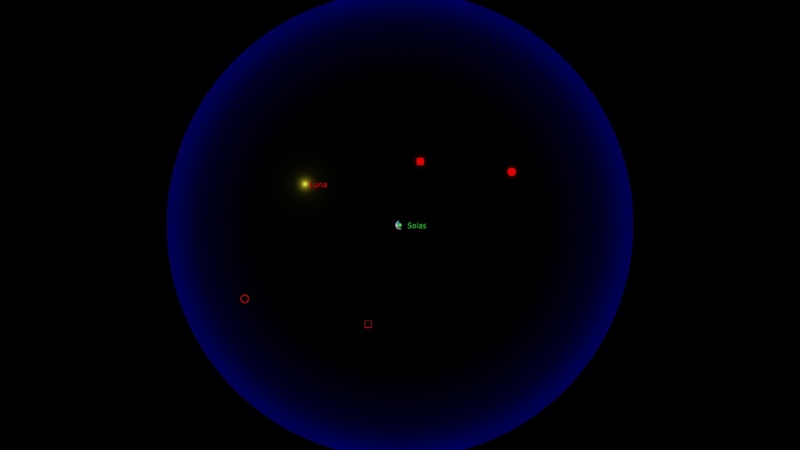 And while we are at it, here is a scenario that sometime cause "current controlled ship teleportation" for lack of a more precise troubleshooting: Say you are in a stable low orbit around planet 1 which as a few dwarf moons. You decide to arrange for a trajectory intercept with moon A. Sometime, when approaching your target, the ship will "teleport" far from where you are. It happened both when approaching the moon and when returning from said moon. I could not precisely identify what was causing this... It happened once just as I clicked the "match velocity" button. Other times, it happened without any apparent reason. Thanks for the awesome project and keep it up! P.S: I would like to see more development on the actual "game" aspect (resource like fuel for spaceship, more special procedural point of interest on planet (huge mountain, canyons, strange rock formations with holes, etc...). Just my opinion. Can confirm. I've had this bug in 0.974 beta 5 too. I haven't tried actually flying with beta 6 yet. 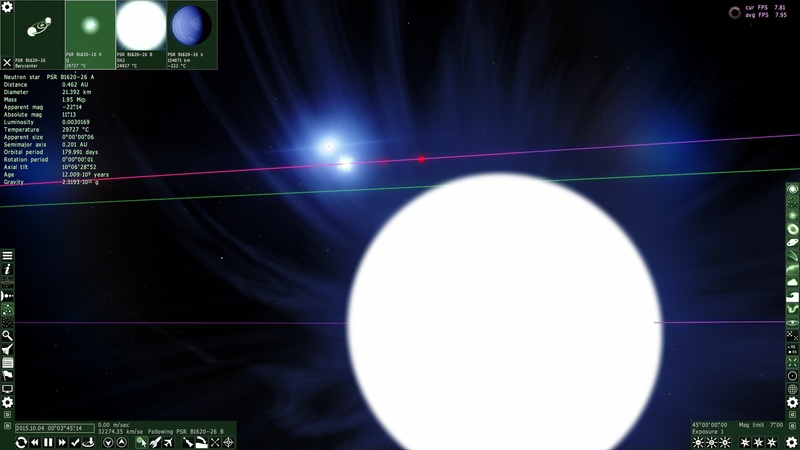 My SpaceEngine crashes at splash and tried all suggestions and it won't work. I am using Windows 10 and using 0.9.7.4 patch 6. 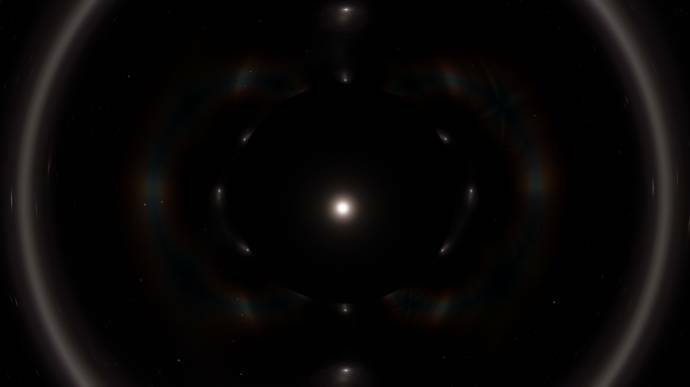 Hi, I am in Windows 10 (Intel Core 17) and it works very well and this is the first bug detected for Space Engine 0.9.7.4 patch 6 : the orbits are not displayed, you can see just squares and circles (in fact, this is what they mean) ? 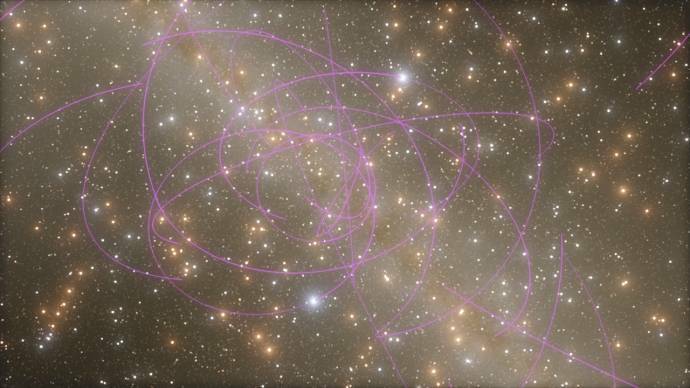 As DoctorOfSpace, I also have problems of stars that appear even if they are behind the black hole. 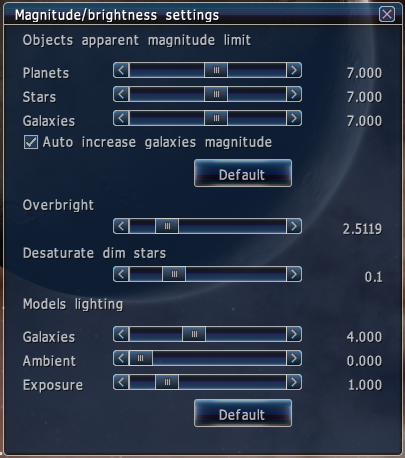 By the way, you can put the effects of the atmosphere when an object comes in and also speaking of orbits, better clarity, basically even if the orbit is outside the sphere of influence, the still displayed but also compared to the relative sphere of influence and if he does not, the trajectory displayed (as KSP gave an idea for you) and displayed regardless of incluence sphere sum attracted us. In fact, if there is at the moment one is in game mode automatic mode of the HUD, which goes directly to the moment you leave the atmosphere to orbit and back. It appears that the part that looks buggy beyond a gravity lens is the light source itself, and the diffraction spike part works fine like in older versions. On the subject of rings: why is it so hard to find ringed terras compared to how easy it was in 0.9.7.2? Because they should be very rare. As it stands now, moons below geostationary and around tidally locked planets are still way too common (as orbital stability due to the moon's migration isn't considered over a hundreds or thousands of millions of years). I'm getting a lot of galaxies that seem to be trying to load all their stars at a distance. I can't enter them without my fan screaming and ultimately crashing. Your stars magnitude isn't too high, is it? I believe it is still set to default. What should it be set at? Bells_Theorem, What does reducing the Magnitude do? The "magnitude limit" determines the dimmest apparent magnitude a star can have to still show up on the screen. Since magnitude is related to the inverse of the brightness, lower settings require stars to be brighter to show up; conversely, higher settings allow higher magnitude stars (dimmer ones) to show up, which leads to more stars on the screen, which leads to bad performance. Thanks parameciumkid, turning down the limiting magnitude does help but even then it is very dodgy trying to navigate through the problematic galaxies. It seems to be about 50% of the galaxies have this affect while the rest seem completely unaffected. I'm sure there is a pattern to it but it seems random at this point. The first galaxy in this video capture is compltely fine to fly through, where as the next one I picked you can see is loading hot blue stars at thousands of light years distance with apparent magnitudes much higher than would be expected. You can see as I creep up the second galaxy, getting as close as I dare to without crashing, the frames drop to 20, whereas my normal FPS for traversing a galaxy is above 60. For the time being, I'll just avoid any of these galaxies. 50% of 100 billion is still enough to keep me occupied for little while. 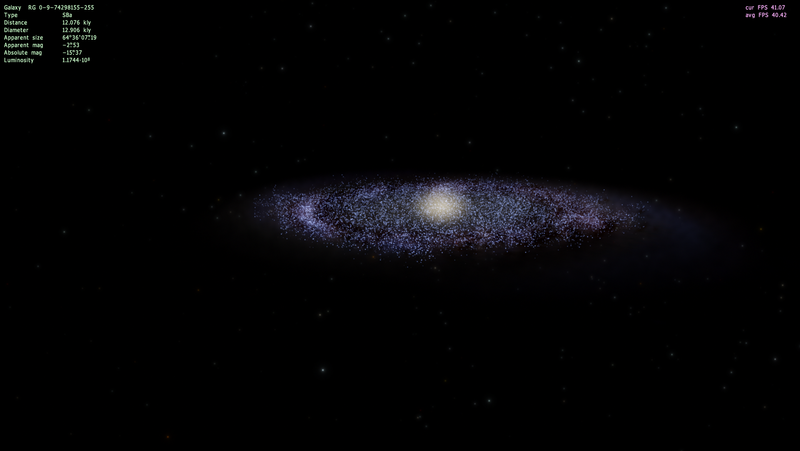 Probably a glitch with the new fixed dwarf galaxy rendering that Space Engineer did a couple posts back, since the laggy galaxies in question are all below 4000 light years in diameter.